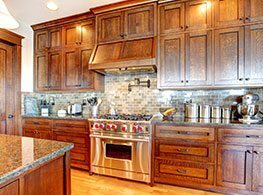 We sell stock cabinets, semi-custom cabinets and custom cabinetry to fit your kitchen and bath needs. At Cornerstone, we carry a wide selection of granite and quartz countertops from Cambria, Silestone, Caesarstone and Zodiaq. 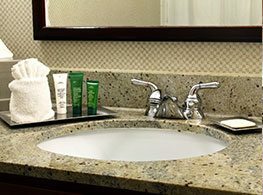 We offer vanities, cabinets, countertops and more to completely elevate the look of your bathroom. For that perfect finishing touch, Cornerstone Kitchens & Bath offers a wide variety of cabinet hardware and accessories. Whether function or flair is your desire, your dream kitchen or bath is waiting for you at Cornerstone Kitchens & Baths. We are a specialized dealer servicing homeowners, contractors, & interior design/decorators in Easton, PA and surrounding areas. 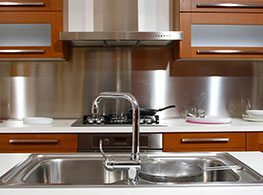 If you are remodeling your existing home or building a new home, Cornerstone Kitchens offers kitchen cabinets, bathroom vanities, countertops, hardware, and installation if desired at every price point. Our kitchen and bath specialists are here to help guide you in finding the right furnishings for your kitchen. From material selections to design ideas, Cornerstone has the resources you need to make your project a success. You dream it, we’ll design it. Let us help you plan out your dream kitchen or bathroom with our computerized 20/20 design program. For more information about our products or to schedule an appointment, please fill out the form below. What can I say? I love it! Cornerstone took a disaster and created a kitchen I can be proud of. I especially enjoyed dealing with them. From the start they were fair, honest, and I always felt they had my best interest at heart.- Harry G.
We are so happy with our new kitchen. It was a pleasure doing business with you. We searched all throughout the Lehigh Valley to find the best company to help us with our remodel. Cornerstone exceeded our expectations and went above and beyond to please us.- Peter & Angie D.
The cabinets are beautiful along with the granite countertops. Thank you for the wonderful job you did on my kitchen.- Melody H.
We selected Cornerstone Kitchens on the basis of meeting the staff as well as price and quality. Much to our delight the owner of the company did the installation. We are completely thrilled with the results, every aspect of cornerstone meet my needs. Thank you for all that you did to make our project a success.-Norm & Marie A. It has been a pleasure, our kitchen came out beautifully. We get nothing but compliments on the cabinets and design.- Nancy R.